Pink Umbrella Photography: Organization is a must! Okay, so many of you may or may not know me but I have a large family and one really small house. We have just out grown this house in every room including the garage. So, I started looking online at some really great craft rooms (which I wold love to have) and found some really neat ones. 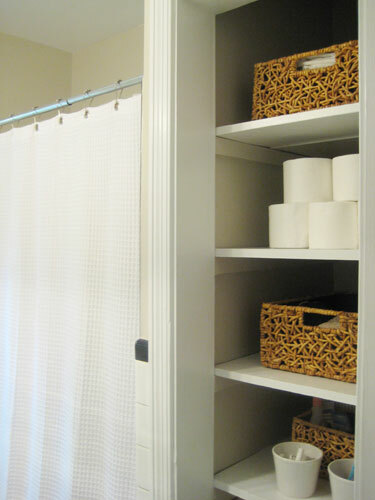 First is a really neat way to organize your bathroom which I totally need right now. The bathrooms are one of those rooms that drive me crazy when I walk into it. Look at this cute idea. One really great place to find a lot of organizing ideas is over at Young House Love. They really have a lot of wonderful ideas and it makes me want a fixer uper house so bad. 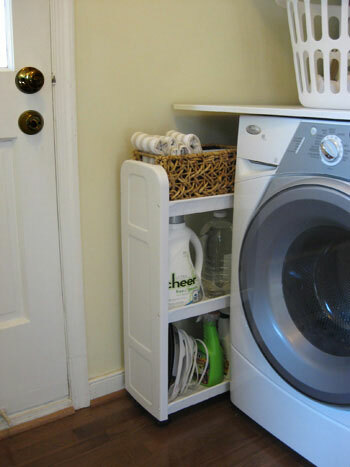 Next is a really simple idea for your laundry room. This next idea I just LOVE. 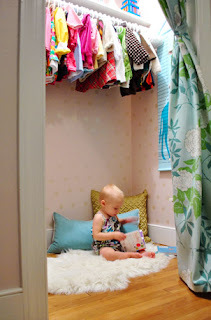 I am always looking for cute spaces for the kiddos to read their books and what a better idea then to use the space in the bottom of their closets. You can even add a rug like this or put a comfy chair in there for them to sit in. This room is my absolute favorite. I thought of my sister-in-law when I saw this and I think she should totally do it. Everything is so neat and labeled. The best part is there is a table in the room to do your crafts on. This helps because everything you will need to use for your craft is not to far away. Excellent. For people that don't have a whole room to donate to crafts this idea works perfect I think. 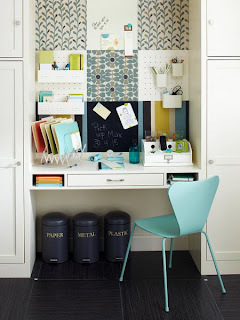 It is still very organized but it is simple and cute. 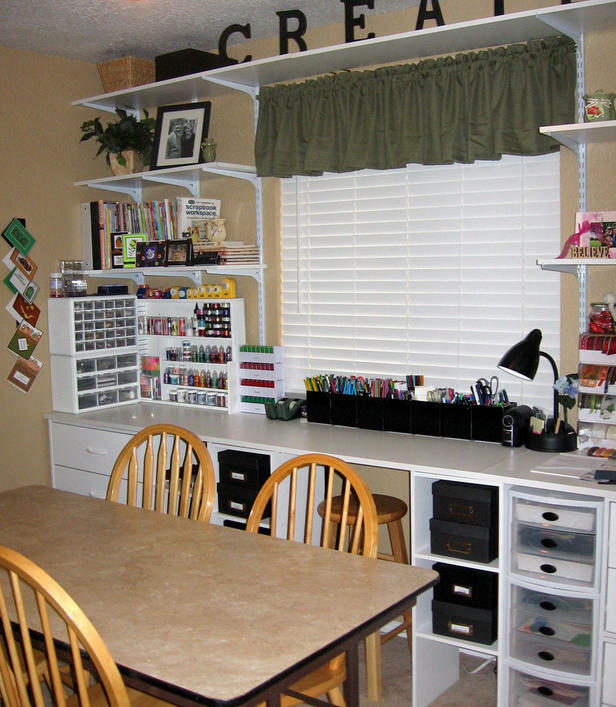 Ok, love that craft room! These are some great ideas. Thanks for the round-up. I love the reading corner. It's such a good idea!